This item consists of 5 packs of 50 sleeves. 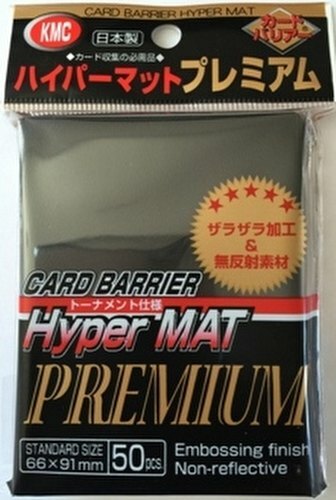 KMC Premium Hyper Matte sleeves are identical to Hyper Matte sleeves with the exception of clear fronts that are made of a new non-reflective material. These sleeves are 91 mm x 66 mm and are made using .12mm material.